In a small saucepan, add the shredded carrots and orange juice. Heat over medium heat and cover for 15 minutes. Remove from heat and puree in a food processor. Meanwhile, in a large mixing bowl, blend the cake mix, eggs, pumpkin, oil and water with a hand mixer. 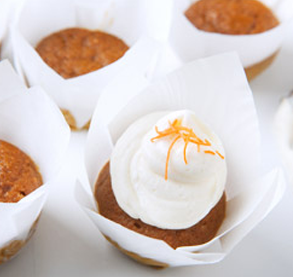 Fold in the carrot puree and fill 3/4 way full, 24 prepared muffin cups. Bake for 18-20 minutes. Cool on a wire rack and once completely cool, ice with cream cheese icing (below). 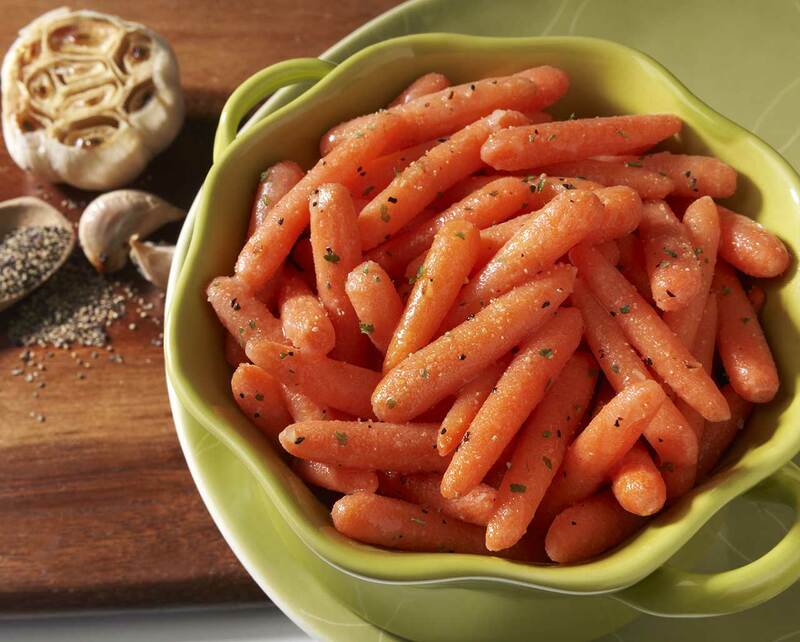 Garnish with shredded carrots. With a hand mixer, mix the butter and cream cheese until well combined. Slowly add the confectioners’ sugar until thoroughly mixed.